Looks like Honda India is trying to take advantage of extra cash in the kitty of the working class, thanks to the year end appraisals. 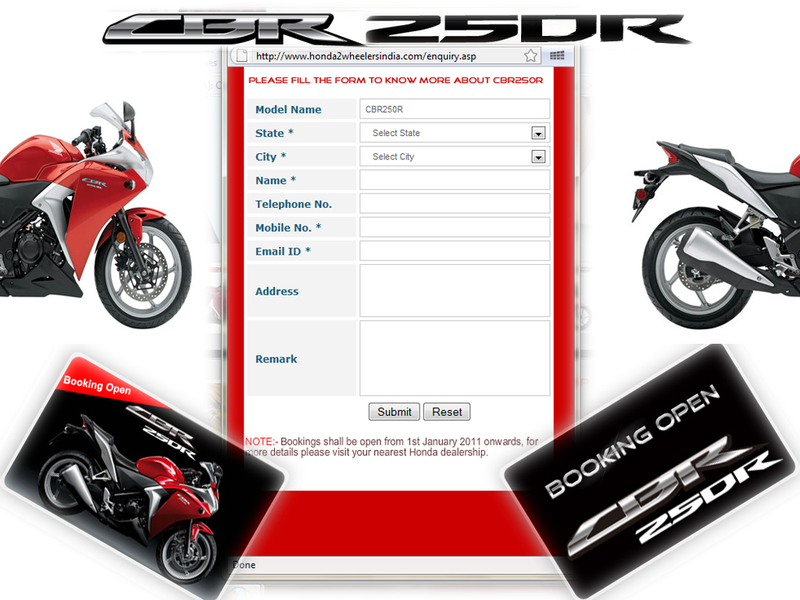 Bike India previously reported that the bookings would begin from 1st Feb, 2011. But Honda decided to get things started from the dawn of the new year. The bookings for the 2011 Honda CBR 250R begins from 1st, Jan, 2011. With bookings starting early, I'm hoping that the sales should also start a bit early, as opposed to the speculated month of April. It's really good to see that Honda is starting a fresh chapter in the country with the first light of dawn of the year.